The Mayan Calendar End Date of 2012 has become the focal point of many speculative future predictions, such as global apocalypse, spiritual transformation, and a variety of theoretical cosmological events (such as asteroids colliding with Earth, polar shifts, extreme solar activity, and more). Although it is possible to "see" future possibilities through the processes of remote viewing, psychic awareness, and even quantum jumping (all of which are variations of the same thing - ie. moving conscious awareness through time), the only way to "know" what will happen in the future is to live through it - or "go through" it. UPDATE: Now that we have "gone through it", watch the interview (below this article) with Carl Calleman, the world's leading expert on the Mayan Calendar. The Sanskrit word for "to know" literally translates into English as "to go through". Until our conscious mind actually experiences an event or manifestation of physical reality it cannot "know" that event or manifestation. Moving conscious awareness into the field of future possibilities (or probabilities) gives us a degree of conscious choice or control over the future our subconscious mind creates. Seeing a fearful possible future and believing it has already "happened" in the future (which it has, but only in one possible timeline) can lead to panic and predictions of doom and gloom. Likewise, seeing a loving, peaceful possible future and believing it has already "happened" and is the only potential future, can lead to prophecies of a coming "new age" filled with light and unimaginable human potential. Both are "true" in the sense that all possible futures already exist in the time/space continuum. Which "future" the human subconscious Mind will project into physical experience has yet to be perceived. The Mayan civilization had a gift for perceiving cycles of time. These cycles were associated with the movements of Earth, Sun, and Moon through space and time. The 260 day cycle represented the planting season near the equator where the Mayans lived. This cycle rotates within the 365 day cycle of Earth revolving around the Sun. But the Mayans were also aware of much larger cycles - cycles of the Sun moving through the Milky Way Galaxy, and its relationship to the center of the Galaxy (which cosmologists now know consists of a black hole). Today, scientists know that there are powerful electromagnetic fields emanating from the Earth, the Sun, the center of the Galaxy, and of course our own Hearts. These electromagnetic fields affect and interact with each other. But what is most relevant to the Mayan Calendar and 2012 is the impact that these cycles, both large and small, have upon life on Earth. On December 21, 2012 the Sun will eclipse the center of the Milky Way Galaxy. It is also the winter Solstice, which places the Earth between the Moon and the Sun. This alignment only happens once every 26,000 years or so. That is why the Mayans point it out as the end of a cycle. It is a very large, galactic cycle - one that will begin again on December 22, 2012 and last another 26,000 years! So what does that mean for life on Earth? There is the possibility that this alignment can cause powerful disruptions to the Sun and Earth magnetic fields - or it may not. No one alive today (or within the realm of written history) was around the last time this alignment occurred. It makes sense to be aware of it, and know that communications, energy, and perhaps weather systems can and almost certainly are being affected. Also, shifts in the Earth's electromagnetic field can affect the field of the Heart, having an unknown impact on emotions and physical health. The conscious Mind cannot "know" what the affects will be, big or small, until we "go through" it. Until then, do we have the power and ability to choose a probable future from the infinite array of possible futures? With what we are learning about the conscious and subconscious mind, and the power of thought and emotion, I personally would have to say "yes". Will we? I don't "know" - and I won't know until we all get there. 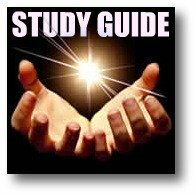 In the meantime...below is a list of links to some high quality sites I have found so far about the Mayan Calendar and 2012, as well as several of the best videos I have found on Youtube. Although I've included one or two apocalypse oriented sites, I don't necessarily agree with or advocate their views. But it's best to be informed. Have fun exploring, and remember - the future is happening right now and it's up to each one of us to make the best of it! OR, Go Back To: COSMOLOGY to learn more about the Big Bang Theory and other ideas about the origins (and destination) of our Universe. NEW: We have now entered 2013. What happened? What do we now "know"? In my article "2012 - End Time? Or just another movie?" I presented my point of view, which was the possibility that the end of the Mayan Longcount Calendar would be much like our own "New Year's Eve". Midnight would strike, we would all drink to the New Year, and go home an wake up to another day (New Year's Day) much like New Year's Eve. For most of us, the transition from December 21, 2012 to December 22 was more or less uneventful. Again, in my opinion, that's because we are talking about shifts and transitions that are occurring on an enormous galactic scale. But what if these shifts are not physical in nature? To learn more about this possibility, listen to this interview with Carl Calleman, the world's foremost researcher and authority on the true nature of the Mayan Calendar. Calleman has for years put forth the theory that the Mayan Calendar is not about astrological measurements of time, but about the evolution of human consciousness - on a galactic scale. He talks here about the Longcount Calendar which measures nine "waves" of energy that our world has been moving through, each wave resulting in the evolution of different forms of life on Earth. He says we have entered the Ninth Wave, in which we have left behind the building of consciousness of duality and separation, and entered into the possibility of Unity Consciousness - awareness that everything is connected. Entering into this awareness is a choice, one that is now available to anyone on Earth who desires it. To learn more, watch the interview and visit Calleman's website at Calleman.com. The Mayans weren't the first ever to use a calendar -- there were ancient calendars in use throughout civilizations worldwide -- but they did create four different calendars. Depending on their needs, the Mayans used different calendars to record each event, either alone, or in some combination of two calendars. The Maya were incredibly accurate astronomers and many of the concepts found in the Mayan calendar can also be traced to other major civilizations including the Egyptians, Tibetan and Nepalese societies, Native American Hopi Indians, the founders of Angor Wat in southeast Asia, the Nasca of Peru (creators of the Nasca lines), and also most likely the builders of Stonehenge and Easter Island. The cosmology of the Maya was a living, religious philosophy that permeated their lives to a degree that might seem excessive to modern people. They were astute observers, sensitive to the cyclical nature of the sun, moon and planets. 1] Although Dec 21, 2012 is the date of the end of the age in the Mayan calendar it does not mean anything spectacular is going to happen on that exact date. 2] The Mayan elders say the calender foretells Earth changes and changes in consciousness AND that they occur within a seven-year period of time around 2012. Enter a date to view your Mayan Horoscope. Explore and learn more about the Mayan Calendar including Tzolkin, Long Count, and Haab; also Mayan Math, and Mythology. 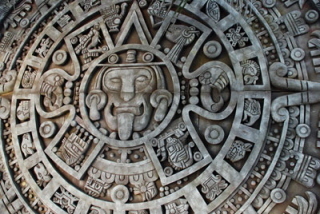 The Mayan Calendar: A brief intro. Watch more videos on the Mayan Calendar, 2012, metaphysics and metaphysical science at A Mind With Heart Channel on Youtube. The official Youtube channel of Metaphysics for Life!